In the course of a 37-year military career, which included UN peacekeeping missions in Cyprus, Bosnia-Herzegovina, Serbia and Croatia, I never once read or even saw a copy of the Charter of the United Nations. I don’t know of any other officers who did, nor did I ever even hear it discussed. And, as for our understanding of our employment and of our missions, that was pretty much it for my generation of officers. And still it seems today that much current debate, even at very high levels, is little better informed and no less careless of details than were my generation. This is just not good enough. Ill informed debate is not useful discussion, and we have learned the hard way that unrealistic expectations produce ill judgement, which can and often does lead to self-fulfilling prophecies of failure. 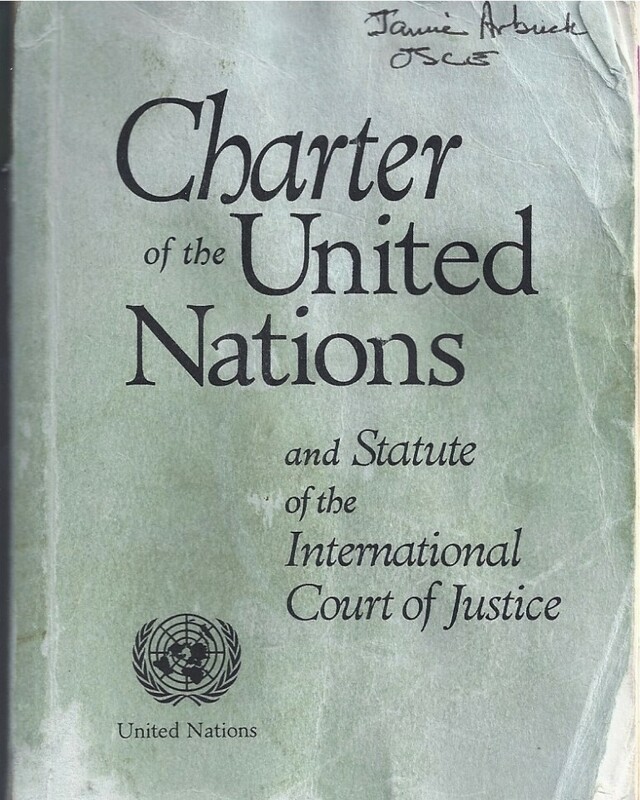 The Charter of the UN is a remarkable document. Drafted in 1945, and entering into force just six months after the drafting, it has been amended on only four occasions, the last over 40 years ago. 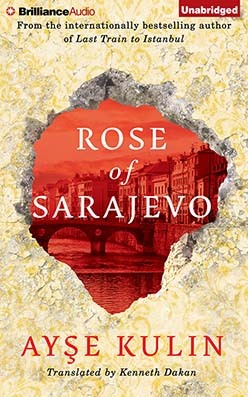 This book tells the story of the heroic and honorable people who survived the horrendous war in Bosnia that took place from April 5, 1992 to February 26, 1996, during which Sarajevo was held under siege for 1,395 days, without regular electricity, communications or water. Ten thousand six hundred Bosniaks – of whom 1,600 were children – lost their lives. Those who survived were pressured to accept the Dayton Agreement. With this treaty, 51 per cent of Bosnia was left to Bosnia and Herzegovina, while the Serbs, who comprised only 34 percent of the population before the war, gained 49 per cent of the land. (location 31). 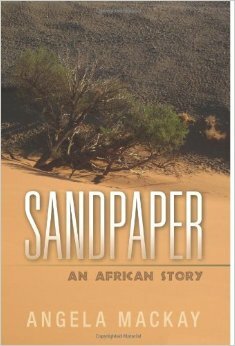 A review for Peacehawks of Sandpaper: A Story of Africa, by Angela Mackay. 2013. Angela Mackay has written a simply marvelous novel of Africa. It is perhaps the best book I’ve read this year, and it takes us truly into an Africa we think we know, or at least we think we know of: the post-colonial legacy of exploitation and neglect, and the post-independence period of corruption and incompetence have combined to produce a dystopia characterized by poverty, ignorance and protracted internal strife. Life is nasty, brutish and short, and we’ve heard it all before – we might even have been there. But when you have laid this book down, you will at last know how little you knew. 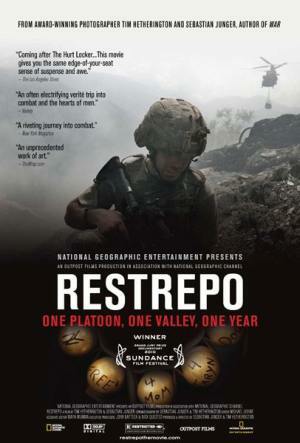 Restrepo, 2010, a film by Sebastian Junger and Tim Hetherington. 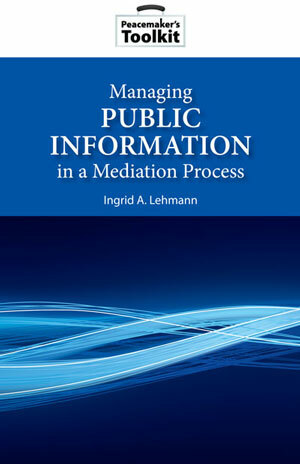 It is a characteristic of our very advanced communications media that the medium is often not the message, and sometimes contains almost no message at all. This film is one such non-message. 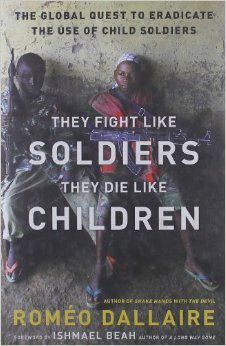 The intention of the film seems to be to accompany the book, War, by Sebastian Junger. 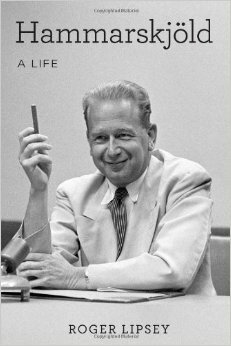 Junger is a skilled writer with a strong sense of contemporary history and is well known for his narrative skills, both of which are amply displayed in his book. 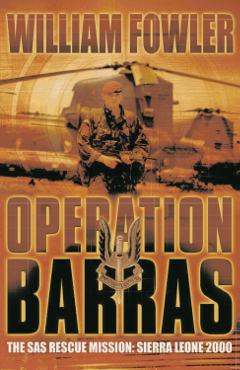 War presents the operations of Battle Company, 2nd Parachute Infantry Battalion of the 173rd Airborne Infantry Brigade in the Korengal Valley of Afghanistan from May 2007 to July 2008. (The other companies in the Battalion are called “Chosen” and “Destined” – the irony, as in so much of the terminology used here, is certainly unintentional.) In particular, the movie tells inter alia the story of the Second Platoon of Battle Company in combat outpost Restrepo, which was named for a very popular medic, Juan Restrepo, and which was established shortly after he was killed in action in Afghanistan. 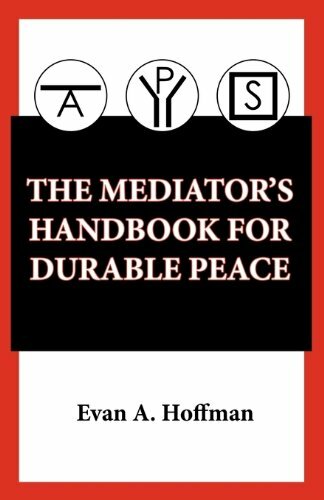 The Mediator’s Handbook for Durable Peace, by Evan A. Hoffmann, the Canadian International Institute of Applied Negotiations, Ottawa, 2010. 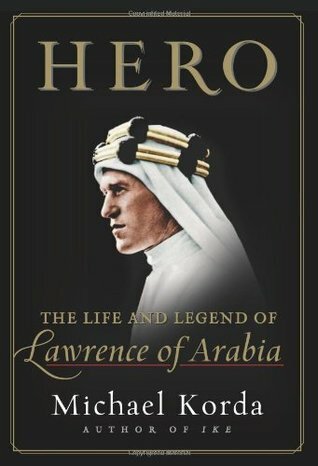 At only 52 pages, this slim volume will scarcely displace the baton from anyone’s rucksack, but no one proceeding on a mission should leave home without it. As the UN Mission in Sierra Leone (UNAMSIL) comes to a close at the end of this year, it may serve as a model for successful peacekeeping, as well as a prototype for the UN’s new emphasis on peacebuilding. In the summer of 2000 things just couldn’t have been much worse for the United Nations Mission in Sierra Leone (UNAMSIL). 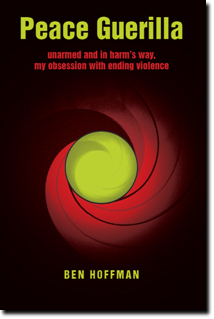 Since February, 1998, nearly 650 persons – peacekeepers, relief workers, priests, nuns, diplomats, and normal people whose luck had run out – had been kidnapped, and 19 of them had been murdered. 575 of those taken were Blue Berets, the equivalent of a whole battalion. By late summer of 2000, about 600 persons had been released, including all of the UN peacekeepers. But about 50 were still captive and, when 11 British soldiers were seized on 25 August, things were getting pretty serious. Yet, less than two years later, the civil war had ended (and seems to have stayed that way), and in 2003 the Kimberly Process virtually ended traffic in the “blood diamonds”, which had been used to finance the rebels. In 2004 the disarmament of the rebel factions was completed and a war crimes tribunal was convened. At the end of 2005, just five years after that nadir of 2000, the peacekeeping mission was being phased out to a peacebuilding mission, and the close-out briefings in New York were presenting this as the poster child of a successful mission. The United Nations Today: As Good as it Gets? The UN … is essentially the collective agent of its member states. Many of the UN’s organizational incapacities could be corrected by additional resources from its member states, who devote but a tiny fraction of the resources they spend on national security to collective action under the umbrella of the United Nations. 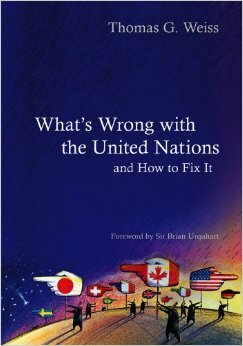 This is an interesting book about the United Nations, and an impressive effort to get beyond the usual procedural and structural tinkering which has characterized and limited most efforts to “improve” the U.N. Thomas Weiss is certainly well qualified to write this book. He combines the skills and the background of a practitioner and a scholar: he served with the U.N. Secretariat for a decade, but has also distinguished himself as an academic for over 25 years, during which he has been a profound student of and a prolific writer, researcher and teacher about, the U.N.